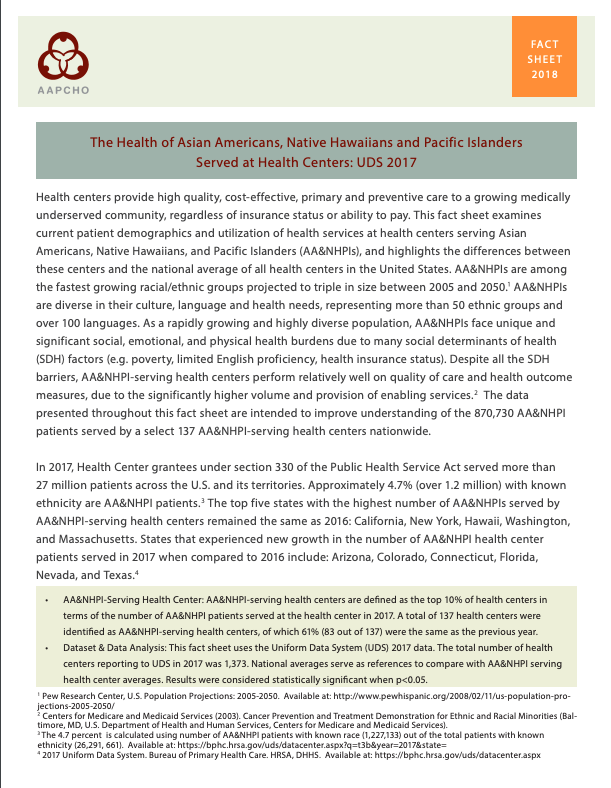 We provide a national voice to advocate for the diverse health needs of Asian American, Native Hawaiian and Pacific Islander communities and the community health providers that serve those needs. 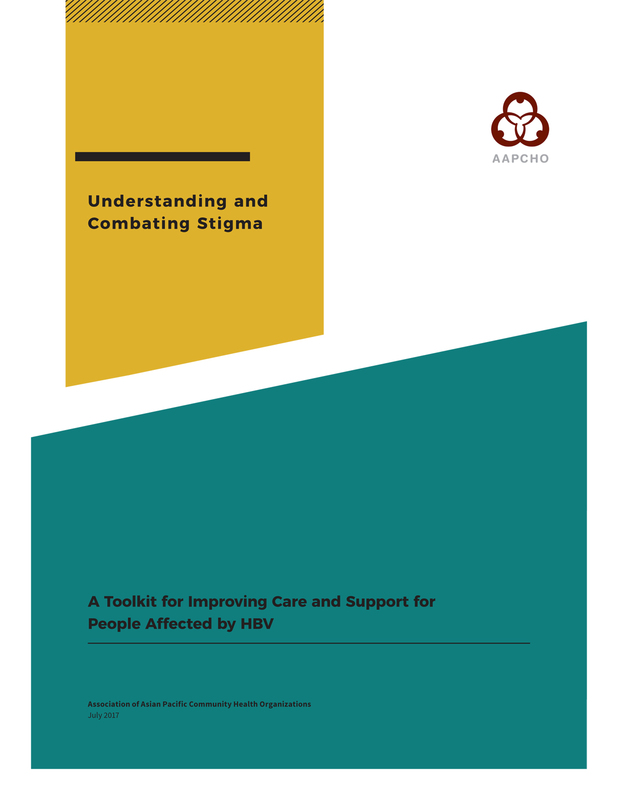 The Health Center Resource Clearinghouse offers high-quality resources and tools produced for health center staff and other public health professionals. 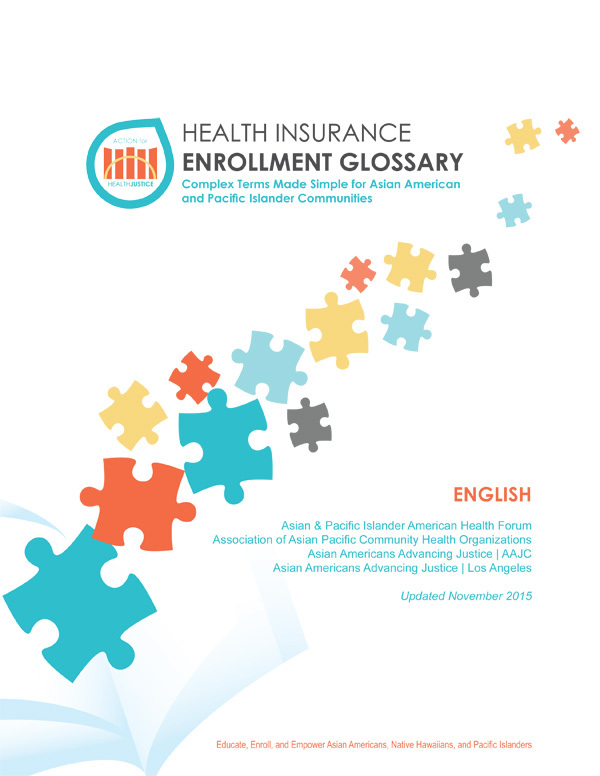 Our community-based member health organizations provide linguistically accessible, culturally appropriate, and financially affordable primary health care services. Sharing your story has never been more important than it is now. Make your voice heard and share your story. 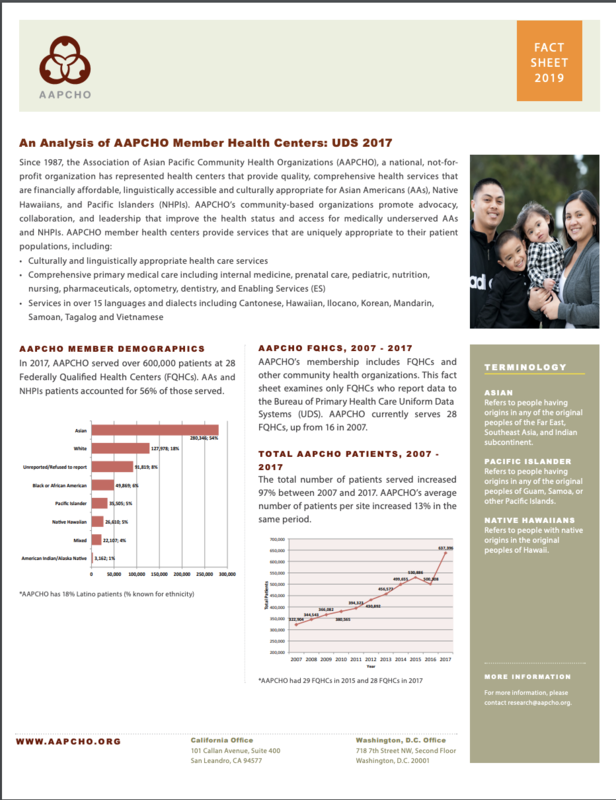 AAPCHO develops programs that are tailored to the cultural and language needs of the population served by our community-based member health organizations. 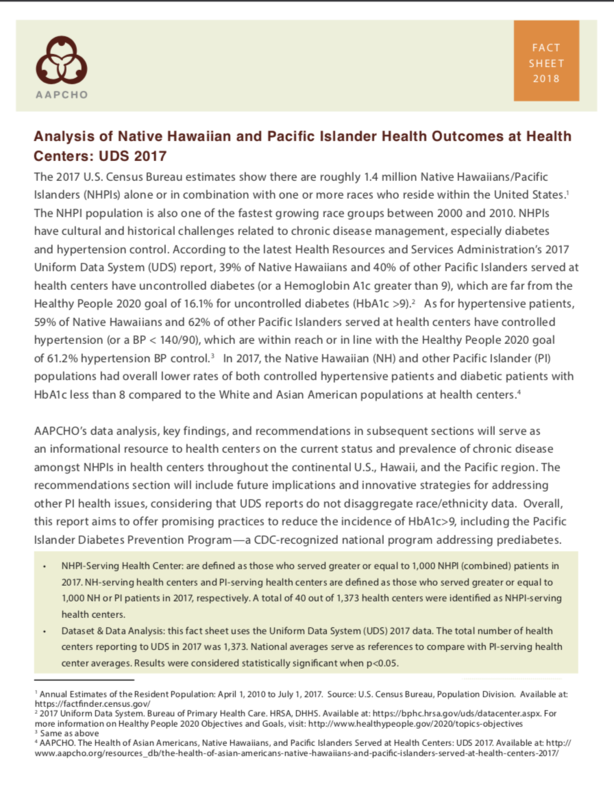 We generate demographic and health-related data that has often been non-existent for Asian American, Native Hawaiian and Pacific Islander populations. 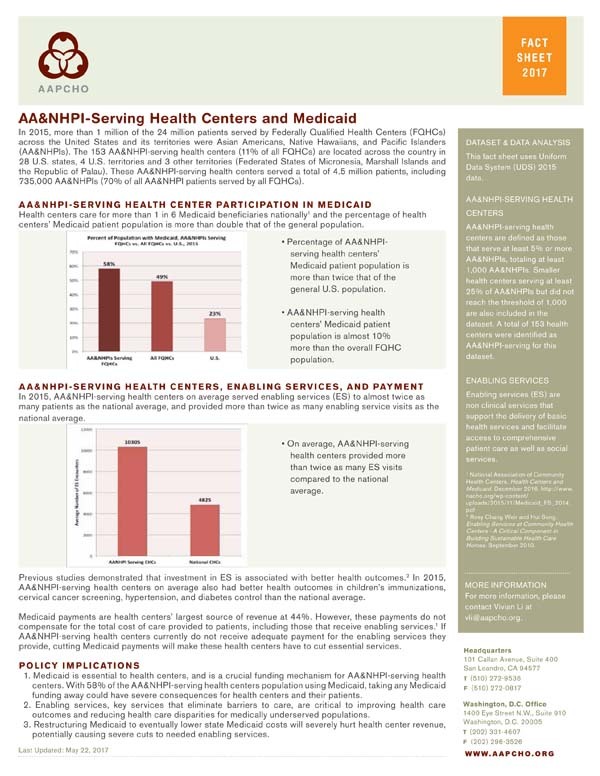 We advocate for policies that give medically underserved communities access to quality health care. Sign up for AAPCHO news and updates!